Select the Options - Remote Viewing menu item to configure this feature. The program includes a built-in web server. You can connect to this server remotely using your favorite web-browser. 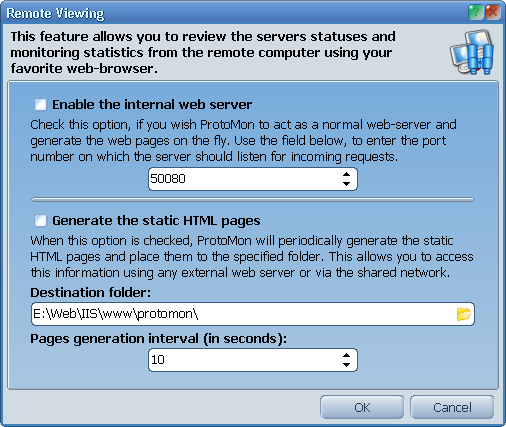 ProtoMon can generate a static HTML pages and place them to the specified folder.